In-house catering options are available for private parties starting at $22 per person. Options range from a decadent brunch buffet to 3-course dinners. 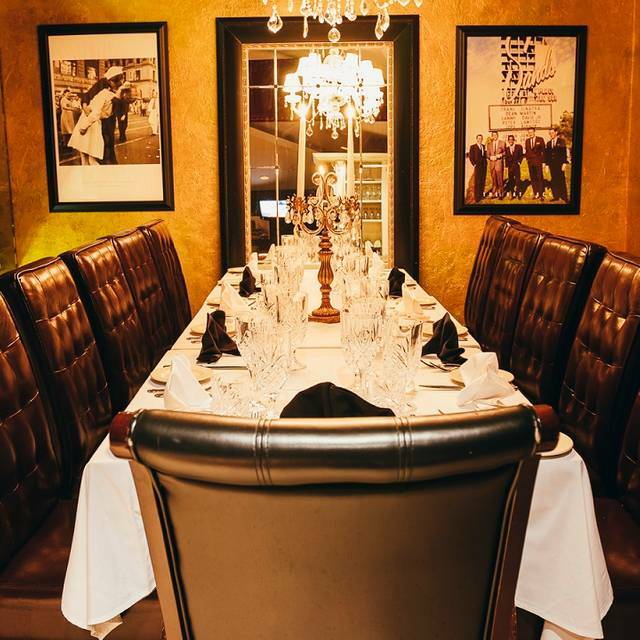 Visit PrimeDelray.com to view our full Private Party Menu. Father and son duo Steven Pellegrino, Sr., and Steven Pellegrino, Jr., treats guests to the dining excellence and classic glamour of decades past. 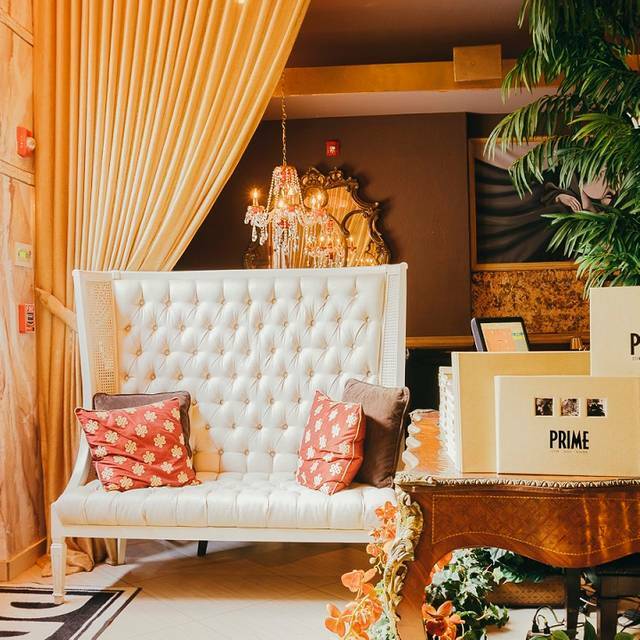 PRIME, located in the heart of Delray Beach, just off Atlantic Avenue on 29 se 2nd Ave. 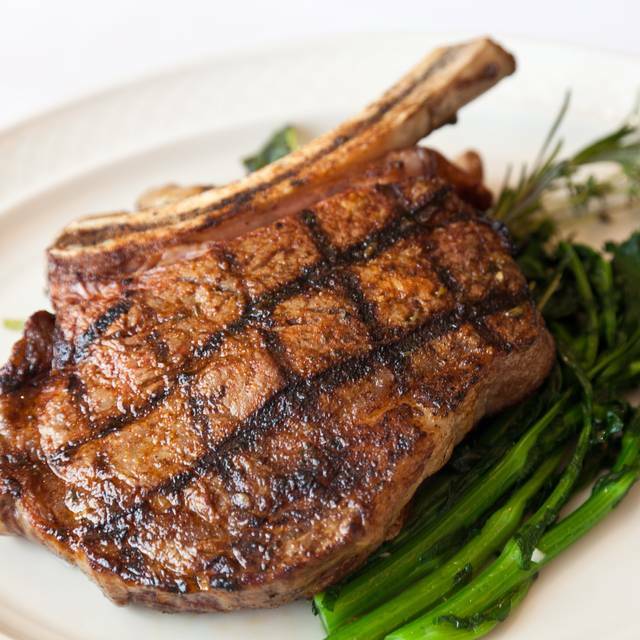 Here, PRIME prepares the best of land and sea, serving guests certified USDA Prime Beef, Seafood and Italian of the highest quality. In addition to luxe bar and dining room seating, PRIME also features an array of intimate indoor and outdoor private dining areas, and an expansive private tropical garden rich with foliage that makes the perfect backdrop for family gatherings and corporate functions. Store your Premium spirits and cigars in your own inscribed liquor cabinet. Before or after dining, relax in the lounge area. 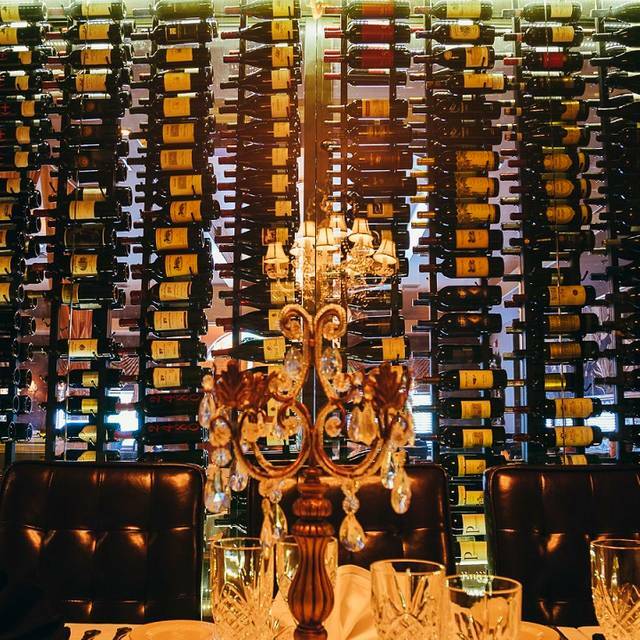 View PRIME’s 600-bottle wine room and enjoy nightly live entertainment, including a piano player. Kobe Beef Meatballs With Every Martini ! Join Us At PRIME Easter Sunday Enjoy A Three Course Dinner $32.95 2-5pm Serving Our Entire Dinner Menu Till 8pm. Service outstanding. Steak great,side we had so so. Huge portions. Very friendly staff. Great food and service. Monday is 1/2 price wine night. Background music a little louder than needed. We arrived at 8:10pm for an 8:30pm reservation for two and were told come back in 20 minutes even though there were open tables inside and outside. The host told us he didn’t want to back up the kitchen. We went to the bar. The bar staff was inattentive and the drinks we had were expensive and lackluster. While waiting, we saw two dishes sent back to the kitchen from the bar. We returned to the host stand at 8:30pm and waited for several minutes until a waiter came over to ask if we had been greeted. The waiter sat us at a table and said “have a nice dinner.” A busboy quickly filled our water glasses and that was it. After waiting 20 minutes without a waiter or any other staff member approaching, and already annoyed by the poor greeting and mediocre bar experience, we got up from our table an exited without having dinner. The menu looked great and we were disappointed about not being able to enjoy dinner. The restaurant was doing good business but was not packed. The service was atrocious with an inattentive and apparently uninterested staff. I have never before written a negative review. Was pleasantly surprised when I walked in. Old style Italian Steakhouse. Service and management very nice. Food solid! I would not recommend the outside dining option. Will return again but will only dine inside. I've been going to Prime for over a year. Since Merrett left though, the food is not as good and last weekend 3 of us ordered steaks and they were all over done. The sirloin was tough, and not as good a cut it seemed. The au gratin potatoes were pasty. We also waited 15 minutes for someone to come to our table when we first sat down. We had a cocktail at the bar beforehand, and Rebecca and Stormy were amazing, as always! At this point I think I'll stick to their HH, which is a good value. Not a good value for an expensive steak dinner out. Sadly, I thought Delray finally had a very good steak restaurant. Our waiter, Peter was excellent. Very attentive without imposing. Definitely will return. We go there all the time, knowing we'll always have a fantastic meal. We bring friends, & they love it as well! We will continue to go there. A wonderful experience! The staff was beyond friendly, and the food was DELICIOUS! Awesome house music, outstanding customer service as Rob as our server, manager came over to check on us after the steak was sent back and fixed. Food was great and tasteful. Overall great experience. $100+ steak for two was cold! The butter didn’t melt. Manager tried to say that medium rare steak is cold in center. Didn’t comp us anything. We came in as a 7 Top on a Friday night. The waiter went from aloof to surly when we “asked too many Questions” about the wine list. The apps and desserts were excellent. Five of us had very good - great entree’s but the two who ordered scallops were sadly disappointed as those scallops were less then fresh. When we complained to the manager, he comped us a dessert but declined to take the $66 worth of inedible seafood off the check. Not cool. 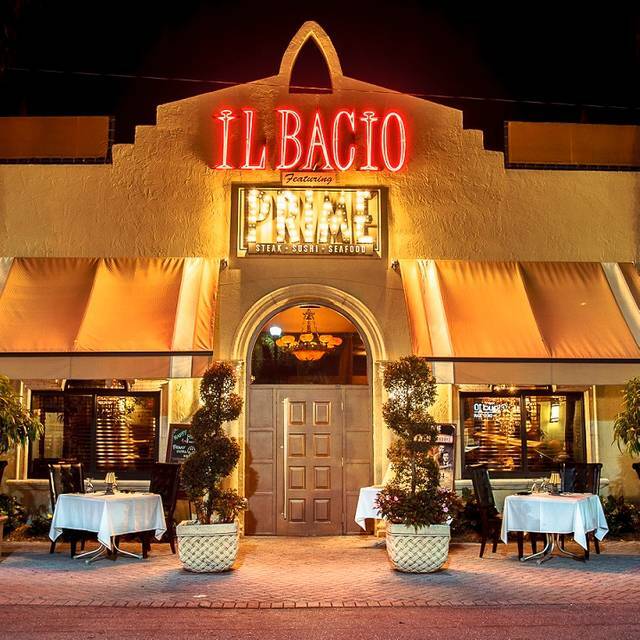 We have dined here before when we came down last year to Delray Beach and loved it so much we decided to return. Our waiter was Anthony and he was a complete delight to deal with. Very friendly and helped us decide on what to order. The kitchen was very helpful in providing an amazing dining experience for my dietary needs. The restaurant is absolutely beautiful and very upscale vibe. We ordered the mozzarella and tomatoes and they were fabulous. My entree was the stone crab claws which were amazing and my husband had the filet mignon which was cooked to perfection. I must say the cocktails were awesome too. I will definitely be returning when we come back to Florida. Another perfect experience at Prime Delray. Our server Peter was fantastic and was very knowledgeable. The manager checked on us many times. The osso Bucco special was outstanding and my wife always gets the scallops. Thank you prime for another great dinner! I have been to prime before and will be again. The manager on Monday Chris was very attentive and welcoming from walking in the door. The service was excellent and I enjoy a 12oz filet cooked to perfection with a lobster tail on the side. Prime is one of my staples in delray! We had wonderful time. Lovely place. Great ambience. A little dark couldn't quite see all of menu. Sat outside which was very nice. Will definitely go again even though menu was a little pricey. A little to loud. The food was fantastic.The sea bass was the best I had ever had. Had a very nice evening with 7 of us on a busy Saturday evening. Our waiter, Johny Lee, was great. Very funny, attentive and helpful. Even the piano player was very good, playing a variety of appropriate songs and making for a comfortable atmosphere. It was my brother in laws Birthday. However we go all the time for a great meal in a beautiful setting. Never disappointed. We’re going again this week with friends. This was the 1st time I was here but had been to their sister restaurant Baciami, many times. Our waiter, Johnny Lee was just superb. He was Mr. Personality & extremely helpful with our choices. I had the skirt steak & my friend had the pork chop, which were both excellent. He kept coming over to check on us to ensure everything was OK.
We shared a Cesar Salad & the creamed spinach & brussel sprouts. The spinach was amongst the best I've ever had. The brussel sprouts were just that. Not a lot of other "stuff" on them so they were quite healthy. We then shared the chocolate bread pudding & vanilla gelato. I never had bread pudding before and this was just fabulous. We sat outside & enjoyed the lovely winter evening. Tomorrow I'll have all my leftovers for lunch. YUM!!!! Had a poor experience here. While the appetizer and salad were fine, the entree was over cooked. Our server never came by to check on our meal. 10 minutes later the Manager came by to see about meals. Manager went to the kitchen to redo the meat but returned to say the kitchen was too busy and he didn’t want to upset their rhythm. Offered us a free cup of coffee. COFFEE?? Seriously for a $32 meal?? We declined. After complaining again we were given a $20 coupon to discount the meal. So we paid $12 for a meal that we didn’t eat. We felt ripped off and didn’t understand the arrogance. We won’t be back! Amazing food and ambiance. Our server Anthony was top notch. Perfect evening. Adam was a great manager. Anthony was our server. He was outstanding and could not do enough for us. Went there for the sunset dinner. Great deal if you sit before 7:00 pm, except Saturday. Had the veal chop. It was one of the biggest and best ones I’ve ever had. Wife got the branzino. She could not stop talking about it 2 days later. Will definitely be back. 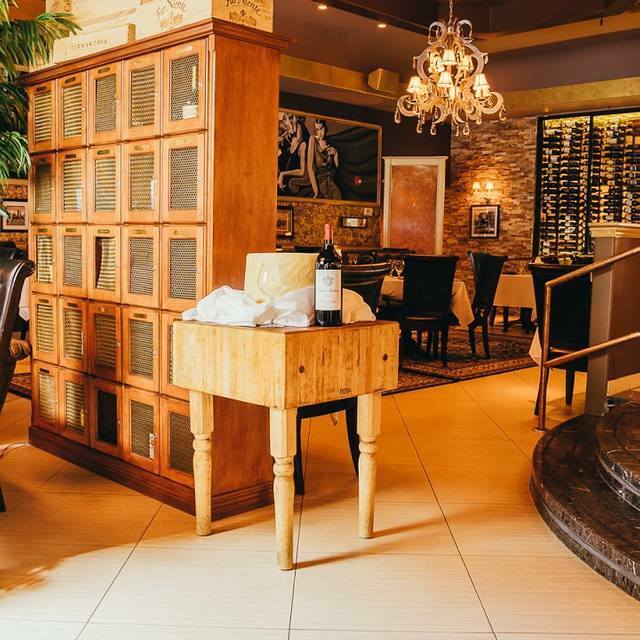 We have visited Prime in Delray Beach multiple times and it has become one our favorite places to dine in Delray. We have never had anything but outstanding steaks, seafood, crafted salads and the most delicious twice baked potato we have eaten anywhere. They also make a perfect Dirty Martini! 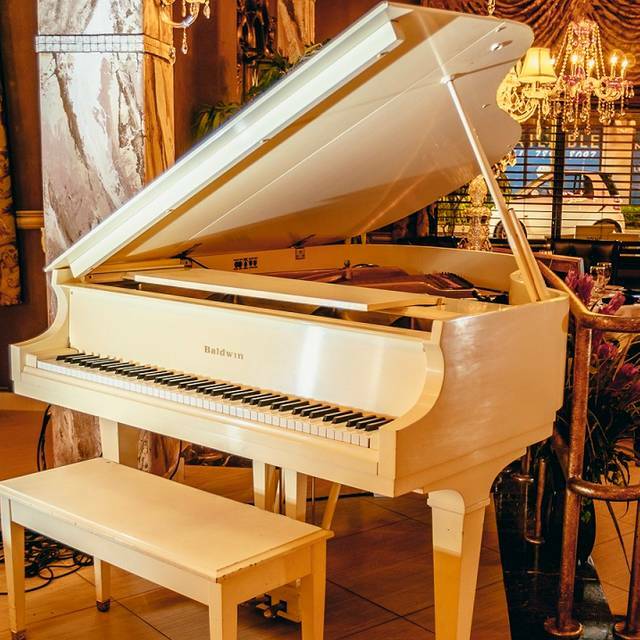 We have enjoyed live piano on Friday and Saturday nights with beautiful arrangements from "The Great American Songbook," Sinatra style. The décor is elegant, unique and classic. The long marble bar with crystal pendant chandeliers elevate the feeling and experience. The hand painted wall mural and ambience are both sophisticated and romantic. 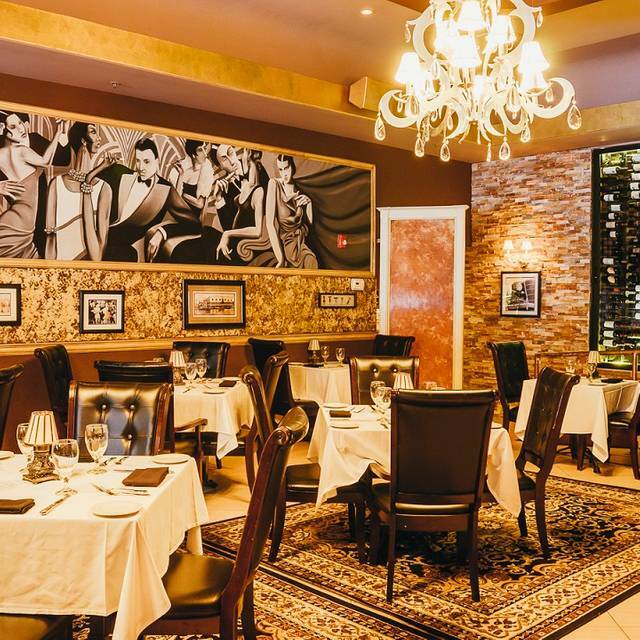 Prime is certainly one of the most beautiful restaurants in downtown Delray. I cannot emphasize enough the outstanding service and attention we have received with every visit at Prime. The Manager and hosts are gracious, welcoming and accomodating. The Manager is present in the dining room and always stops by to personally check on tables and thank customers for their patronage. We have especially appreciated the professional style, warm personality and elegant service of Anthony Collichio. Anthony's unique intuition, great memory, eye for detail, and desire to provide excellent service have truly impressed our family. We have observed that all the staff are exceptionally trained and professional which makes Prime a relaxing and wonderful dining experience. We are frequent patrons at Prime and once.again they did not disappoint us. Adam the manager is always friendly, polite and attentive, the food, drinks and deserts are exceptional, the bartenders and staff are polite, attentive and helpful which makes the dining experiance delightful. We sat at our table for 35 minutes until the manager came over. We told him there was no waiter so he took our drink order and that took another 15 minutes to get our drinks but still no waiter. We finally got a waiter and we all ordered the stone crab special which included a cold salad and coleslaw. It took another forty minutes to get served. The stone crabs were definitely frozen because the shell was sticking to the crab meat. This does not happen when stone crabs are fresh!! What a HORRIBLE experience. Do eat at this restaurant. As always, the food was exceptional period. We will continue to go back because we love it there! Nice bar, and nice dining experience. Food was fabulous. Great place for a special event. Dinner at one of the best steakhouses in Delray Beach. Beyond overpriced for what it was. Extremely small portions. Shrimp crabmeat app had two shrimp and very little crab for $19....really? 22 oz ribeye for $62 had NO flavor. Prime is my favorite Delray restaurant. It's my go-to for special occasions or just a great meal with friends. The food is always wonderful, the wait staff couldn't be more accommodating. The only problem I had with my last visit was that we were seated almost an hour after our reservation time. It's the only negative and it was the only time it's ever happened in all the times I've been there. It won't stop me from future visits. Service was poor to mediocre. Salads and appetizers were just plopped onto the plates, they need a little work in presentation! Steaks were not even room temp when delivered to the table but the sides were piping hot. Bad timing in the kitchen. Didn’t list the vintages is the wines they carried and said the newer younger ones were good. Really had no idea did they! We took home what we couldn’t finish and got someone else’s meal! Rushed to table from having apps at bar. Server asked if anyone wanted drinks during dinner and then never brought drinks. We were also billed for the drinks that were never received and had to get a manager To have them removed from the check. It was my husbands 59 th birthday and itnever acknowledged. The waiter never came back to apologize . Went to prime to celebrate my wife’s birthday. Everything was excellent just as it had been in the past. I and my fellow diners - loved the atmosphere of Prime. We will return. The many different steaks and preparations are amazing. Service was very good and the Tuesday night specials are a real deal!!! Excellent food. Excellent service. Pricy but worth it especially for a special occasion. Beautiful restaurant. I have been in the Ave so many times and I don’t know how I missed this place. The food was great the service very good. It has an outdoor sitting area in the back that was very pleasant.